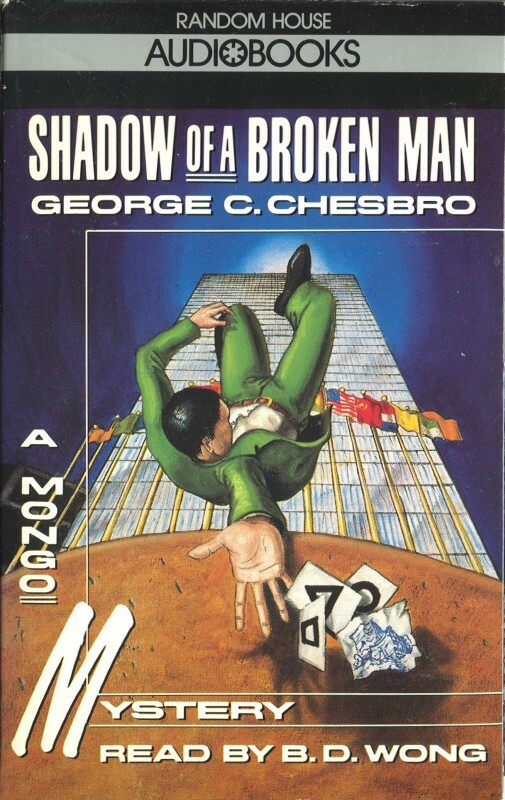 George C. Chesbro was the author of 28 books, including the renowned Mongo mystery series. 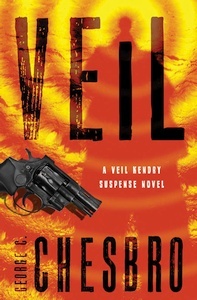 His first novel, King's Gambit, was published in 1976, and his most recent book, Strange Prey and Other Tales of the Hunt, was published in December 2004. Dr. Robert Frederickson, also known as Mongo the Magnificent, is a criminologist, ex-circus headliner, martial-arts expert, and private eye, who also happens to be a dwarf. The Mongo series is a blend of mystery, suspense, science fiction, and the supernatural. 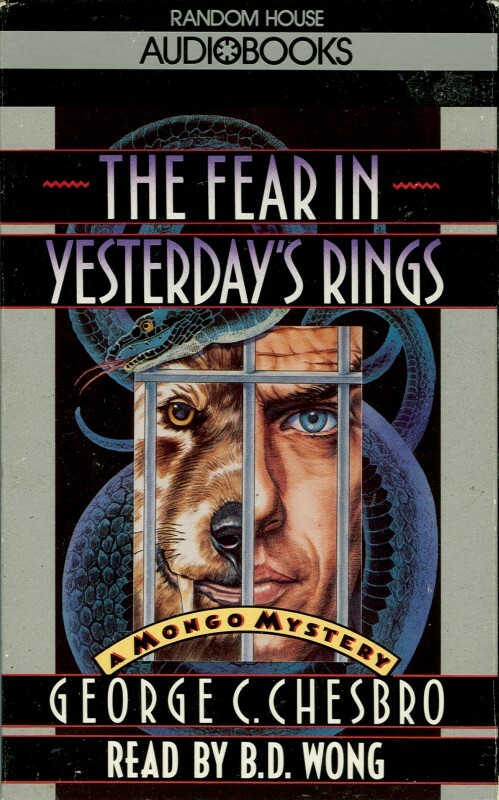 In addition to the Mongo novels, Chesbro wrote several novels featuring other characters from the Mongo universe, as well as a few standalone novels, including Bone and 2000's The Keeper. George Chesbro died on November 18, 2008, at the age of 68. 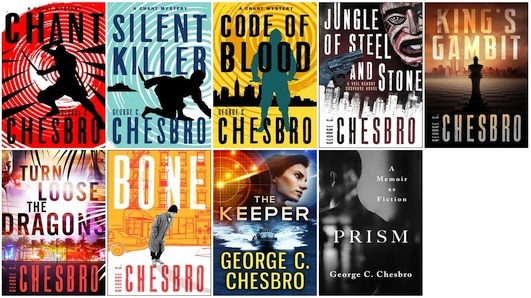 Mysterious Press and Open Road have released three more George C. Chesbro ebooks! Veil, Strange Prey and Other Tales of the Hunt, and Lone Wolves are all available now as ebooks. With these releases, all of George's books are now available in ebook form except Lord of Ice and Loneliness and his two adaptations, Crying Freeman and The Golden Child. Ordering links for all of the ebooks can be found on George C. Chesbro Ebooks page. I spent a long-overdue evening searching for various references to George and his work. Here are some of the links I discovered tonight. Back to Books: a review of the short story "Finest of Families"
2017-11-14 — More George C. Chesbro Ebooks!!! 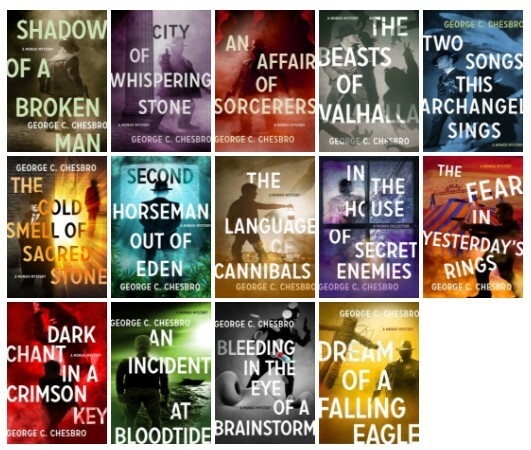 Thanks to Mysterious Press and Open Road Books, most of the rest of George C. Chesbro's books are are now available in ebook formats! 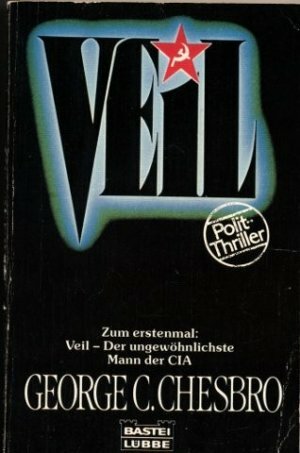 Veil has not yet been released, but will be soon. 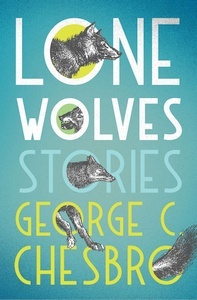 With these releases, all of George's books are available as ebooks now except for the short story collections Strange Prey and Lone Wolves and the final Mongo novel, Lord of Ice and Loneliness. I'm not sure if or when those books will be released as ebooks. Stay tuned! Click here to purchase the Mongo ebooks! Thanks to Mysterious Press and Open Road Books, the Mongo mysteries are now available in ebook formats! The ebooks will be released on October 31, 2017, and can be pre-ordered now from Amazon, B&N, Kobo, and Google. 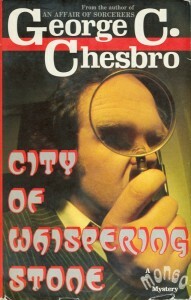 The initial wave of Chesbro ebooks consists of the fourteen Mongo books. 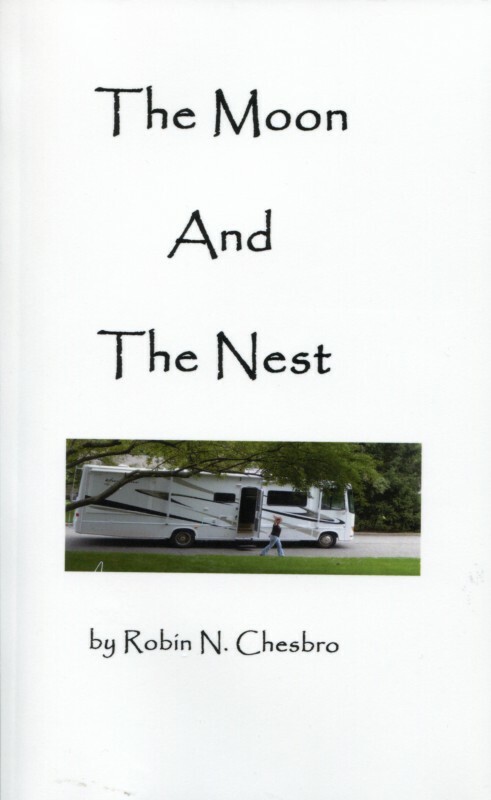 The rest of Chesbro's books will be released in ebook formats in the coming months. A recent post on the blog Pretty Sinister Books reviewed City of Whispering Stone and discussed the Mongo books in general. You can read the post here. 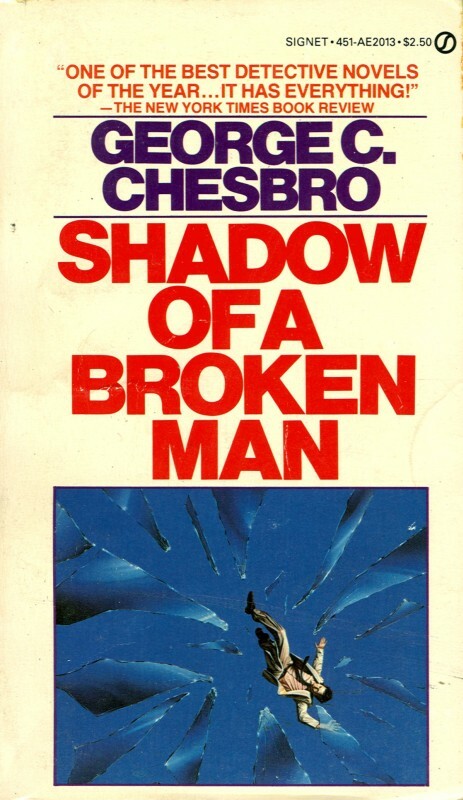 The blog Casual Debris has posted great reviews of George Chesbro's novella "Strange Prey" and the first Mongo novel, Shadow of a Broken Man. The latter review especially focuses on the ties between the two, which both feature the character Victor Rafferty. 2014-02-23 — Mongo series for HBO with Peter Dinklage? The news is spreading throughout the 'net that HBO is considering a series based on George Chesbro's The Beasts of Valhalla starring Peter Dinklage! 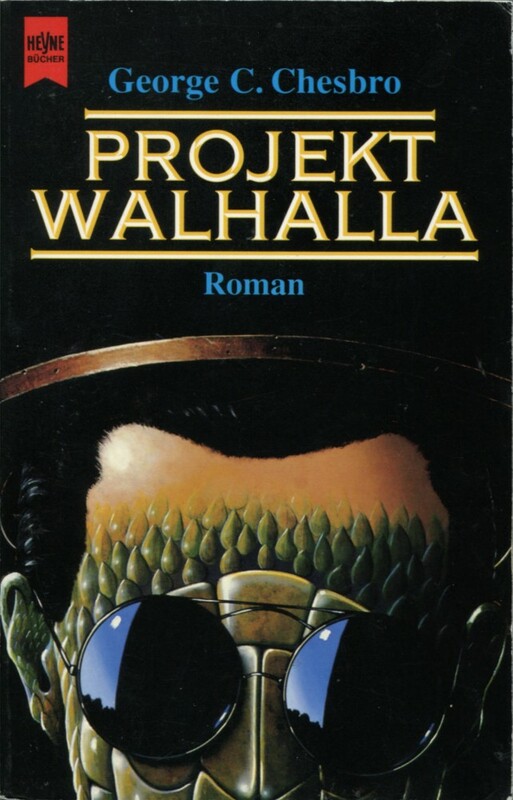 The report comes from an interview If.com.au did with writer Justin Monjo, in which he revealed that he had written a pilot based on the The Beasts of Valhalla. The show would be produced by Ben Stiller's Red Hour Productions. 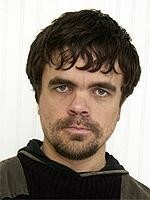 EmpireOnline.com: New HBO Series for Peter Dinklage? Tor.com: Farscape Movie Is In the Works and Peter Dinklage is Set to Star in Another HBO Series! 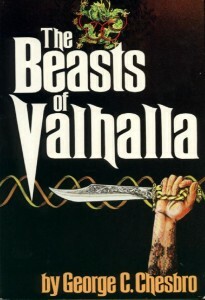 HBOwatch.com: Is HBO Adapting Sci-Fi Series Beasts of Valhalla starring Peter Dinklage? CinemaBlend.com: Peter Dinklage Eyed For Beasts of Valhalla HBO Pilot Adaptation? Various Internet perusals have turned up some foreign editions of George's books that I hadn't previously known about. Books from Japan, Argentina, the Netherlands, and the Czech Republic have been added to the Book Cover Gallery. The Maine Crime Writers blog recently posted For Halloween: Our Scariest Books Ever. Author John Clark chose George Chesbro's Bone. You can read his comments on the blog post. Ever notice how some things seem meant to be? On Saturday, July 27, I checked out several mysteries from the local library. The intent was to celebrate my seventy-fifth birthday week in style. It's quite remarkable how much we can learn even from media meant to entertain. 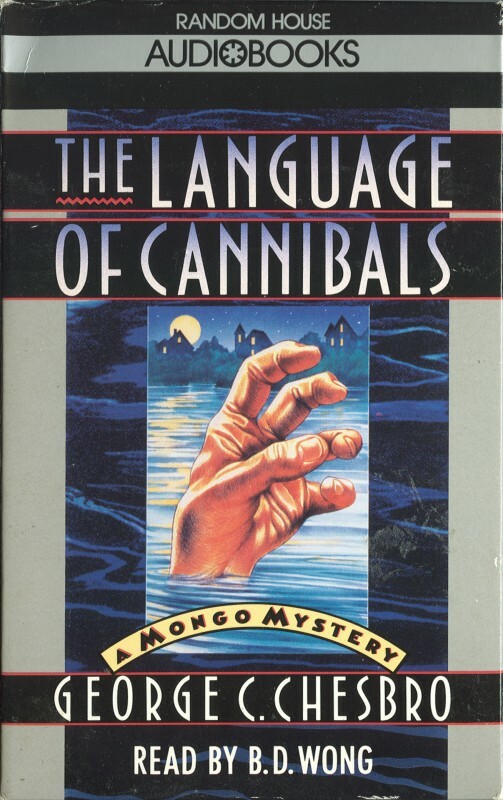 I'd never read any Mongo mysteries and find it so curious that I selected this particular one just when I was writing articles about Paul Krugman's column claiming there is something wrong with the soul of the Republican Party. Here are her articles. The Chesbro book is mentioned in the latter two. Update: Lou mentioned the book again in her August 2, 2013, blog post, Chicken-Fried Attitudes. At the Scene of the Crime: There are monsters in Mirkwood! 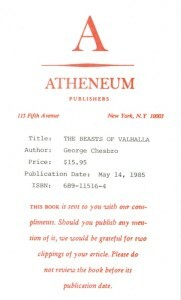 Check out Scott A. Cupp's article: Forgotten Book: The Beasts of Valhalla by George C. Chesbro. The book is an entertaining read that's also very sad in parts as Robin details George's final days and her feelings. I recommend it to all of George's fans. 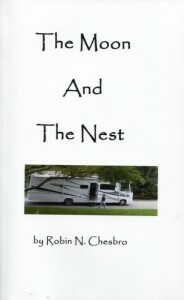 The Moon and the Nest can be purchased from Amazon.com. 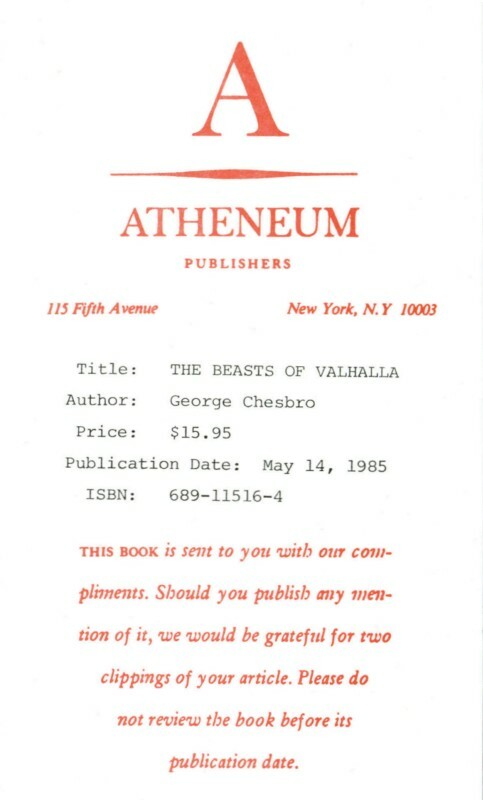 I recently acquired a promotional copy of The Beasts of Valhalla which included an author photo of George Chesbro and the promotion flyer. Scans of both have been added to the Book Cover Gallery. 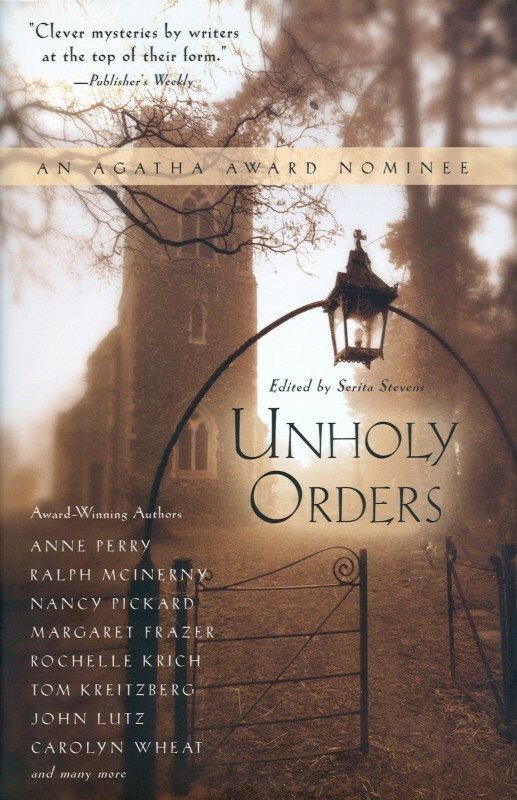 I just discovered today that MJF Books (Barnes & Noble) reissued the anthology Unholy Orders in November 2008. I found a copy at my local B&N today for $7.98. The book includes George Chesbro's short story "Model Town." 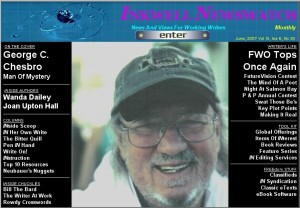 I just found that the online magazine Mysterical-E included an article about George in their 2008 "In Memoriam" article. The piece on George is about 1/3 of the way down the page. In the "no surprise" department, the planned Mongo movie with Peter Dinklage appears to be really and truly dead now. 2009-04-07 — George's last story is in stores now! 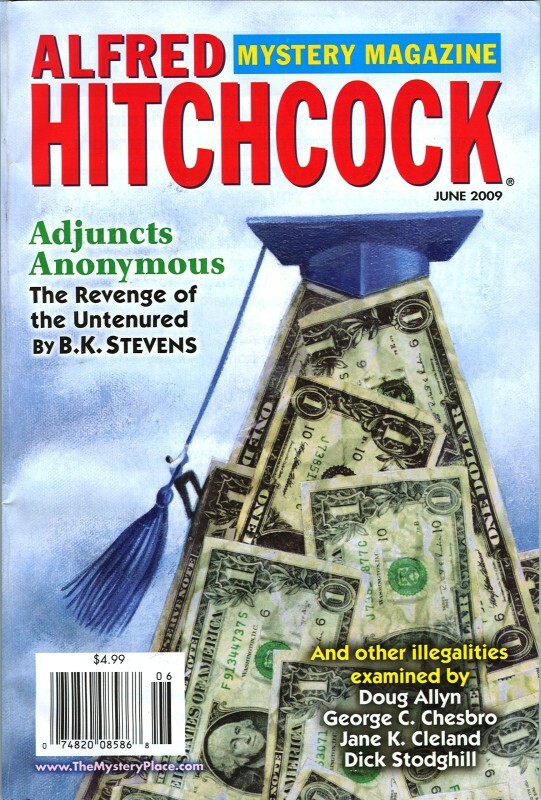 George Chesbro's last short story, "Home Inversion," is in stores now in the June 2009 issue of Alfred Hitchcock Mystery Magazine. It's a great story featuring Garth Frederickson. A new image has been added to the Book Cover Gallery: the 4th printing Signet paperback edition of Shadow of a Broken Man. Chesbro fan Jon Jordan has written a very nice tribute to George Chesbro in the latest issue of Crimespree magazine (issue 28, Jan/Feb 2009). The folks at Crimespree have made Jon's tribute available as a PDF download. Michael Carson wrote an nice obituary for George for the UK paper Guardian. He also posted a nice blog about his article. George Chesbro's last short story, "Home Inversion," will be published in the June 2009 issue of Alfred Hitchcock's Mystery Magazine, which should be in stores in April 2009. The story will arrive 40 years after that same magazine published George's first short story, "Snake in the Tower," in March 1969. Long ago, we had an audio greeting from George that played when visitors reached this site. Earlier today, I dug up the audio file so that you can listen to George's audio greeting. The Washington Post ran an article about George's death. Here's a nice article about George that was published in the Albany, NY, newspaper Times Union: Author of genre novels dies. Times Union has also set up a Guestbook for messages for George's family. Like all of you, I am a huge fan of George's work. My friendship with him began in 1999 when I sent him a letter describing the fan website that I had created for his work. He liked what I'd done, and over the next couple of months, the fan site was transformed into Dangerous Dwarf, the official George C. Chesbro website. I've very much enjoyed my friendship with George and Robin over the years, and I will miss being able to correspond with him. I'm sure Mongo and Garth will miss him, too. NEW BALTIMORE - George Clark Chesbro, 68, of New Baltimore, died Tuesday, November 18, 2008 at St. Peter's Hospital. Born in Washington, D.C. on June 4, 1940, he was the son of the late George W. and Maxine (Sharpe) Chesbro. An author of over 25 novels and nearly 100 short stories, George was a recipient of an Ellery Queen Award and had served as president of the Mystery Writers Association of America. Earlier in his career, George had worked as a special education teacher at Pearl River and at the Rockland Psychiatric Center where he worked with emotionally troubled teens. Survivors include his wife, Robin N. Chesbro; a son, Mark Chesbro;, a daughter Michelle Chesbro; two stepdaughters, Rachael and Leah Gass; a sister, Judith (Richard) Ragone and many nieces, nephews, great-nieces and great-nephews. In lieu of flowers, those who wish may send a remembrance in his name to the Mohawk and Hudson River Humane Society, 3 Oakland Ave., Menands, NY 12204. New fiction! George Chesbro has sold a new short story, "Home Inversion," to Alfred Hitchcock's Mystery Magazine. We don't know when it will appear, but as soon as I find out, I'll post it here! A new image has been added to the Book Cover Gallery: the UK hardcover edition of City of Whispering Stone, published by Severn House in 1981. The Dangerous Dwarf website has been relocated to a new system at a new datacenter. A new, more modern Discussion Forum has been created, as well. Please feel free to join and post in the forums! I've created a MySpace page for George Chesbro. If you're on MySpace, please feel free to add George Chesbro as your "friend"! News items will be posted there, in addition to on this site. A new George C. Chesbro profile and interview is featured in the current issue of Inkwell Newswatch, a monthly online publication by the Freelance Writing Organization - International. The issue features a brand-new interview and an excerpt from An Affair of Sorcerers. The feature was written by Julie A. Pierce and Rowdy Rhodes. 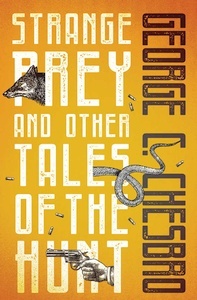 You can now preview most all of the George C. Chesbro novels at Google Books. Bookgasm posted this brief review of George Chesbro's An Affair of Sorcerers. A new photo of George Chesbro taken in March 2007 has been placed on the Portrait page. Another new image has been added to the Book Cover Gallery: the UK paperback edition of Dark Love, published by New English Library in 1995. Dark Love includes the George Chesbro short story "Waco." 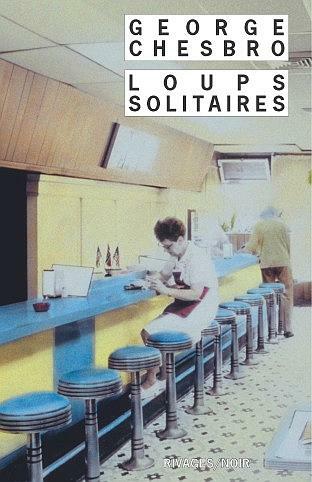 Thanks to jpierre, Le Seigneur des Glaces et de la Solitude, the new French Mongo novel, appears to be available from www.fnac.com. 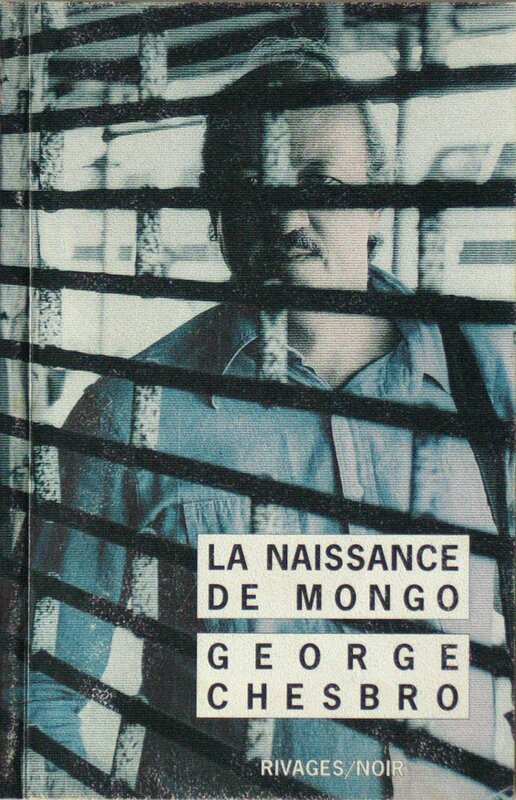 Le Seigneur des Glaces et de la Solitude, the new French Mongo novel, was due to be published June 14, 2006, but has yet to hit stores. Another new image has been added to the Book Cover Gallery: another French paperback edition of Lone Wolves, published by Rivages in 2004. 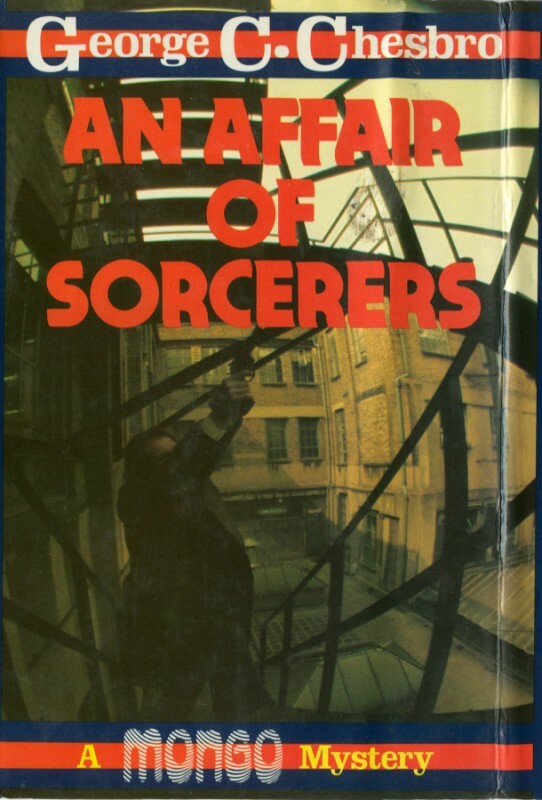 Another new image has been added to the Book Cover Gallery: the British hardcover edition of An Affair of Sorcerers, published by Severn House in 1980. The news continues! 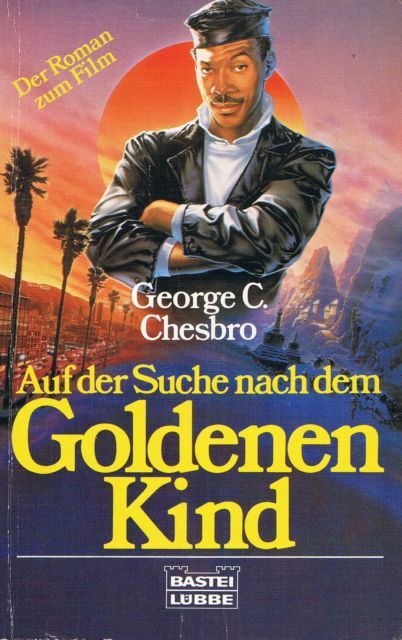 French director/producer Fred Garson has acquired the movie rights to George Chesbro's 1990 novel Bone. I'll pass on any additional news as soon as I have it. Good news and bad news today. The good news is that there's a new Mongo novel! The title is Lord of Ice and Loneliness. The bad news is that there is no U.S. publisher for the novel yet. However, a French translation of the book will be published in France by Rivages in June 2006. The French title is Le Seigneur des Glaces et de la Solitude, and it can be ordered from Alapage.com, a French online bookseller. The ISBN number is 2-7436-1532-X. 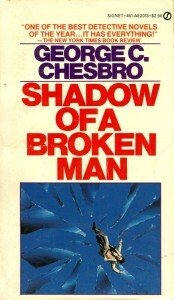 A Chesbro Book Cover Gallery has been added to the site. It contains scans of covers of various Chesbro editions from around the world. A Chesbro Author Photo Gallery has been added to the site. 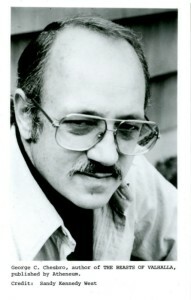 It features author photos of George Chesbro from his books. 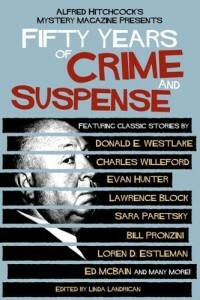 George Chesbro's 1991 short story "Priests" is being reprinted in a new anthology, Alfred Hitchcock's Mystery Magazine Presents Fifty Years of Crime and Suspense. The anthology is edited by Linda Landrigan and will be published by Pegasus Books in June 2006. Thanks to George C. Chesbro, Roger Eakes, Mari Hall, Bill Berry, Joan Scott, Becky Gilliam, and Greykell Dutton for various help in putting this site together! Copyright © 2018, Hunter Goatley. All rights reserved.